Traditionally, we’ve focused mainly on automotive applications till about 10-15 years ago when we got more involved in steel fabrications for automoritve, agricultural and industrial applications. 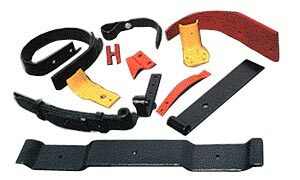 These parts included brackets, hangers, and fabrications for specific projects. We’ve even made total loss crane attachment foundations for construction where the fabrications were buried forever under concrete when the project was finished. Green parts are important because the environmental impact is minimal due to the induction heating process replacing the much more damaging forced air gas furnaces. 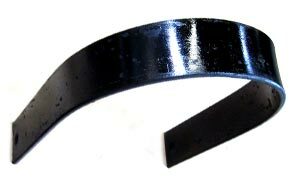 As a plus, these parts tend to be of better, consistent quality and are even more efficiently made. Truly a win win for us, the customer and the environment. The only constraint is that the induction process is only viable for parts up a maximum of 10 Lbs. or so. This may change as we go forward and invest in higher capacity equipment. Springs need to be attached to vehicles to work. 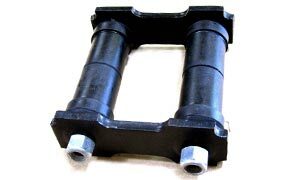 Therefore we are also pleased to be able to provide all the common pieces needed to make your suspension work. 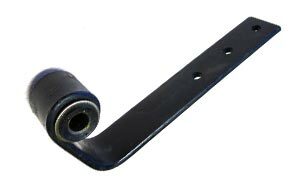 These parts include bushings, u-bolts, shackles, hangers, pins, and shocks. Whether you need 2 or 200, give us a call. If it’s made of steel and requires heat treating, welding, drilling, annealing, bending, forging, and peening, give us a call and we’ll quickly advise you if we can make it and provide a quote. We have a “can do” philosophy here and never say no. If we do say no, it’s only because it probably can’t be done – yet! We’ve been making barker arms for the logging industry for many years. Whether you need 2 or 200 blades, give us a call and let us help you. Made with the highest grade of 5160 alloy and fully heat-treated for a long and durable life. Typical material size is 3/4” x 4” and up to 1” x 6” wide. C-Springs are used in a number of applications including shaker screens, playground rides and agricultural equipment. 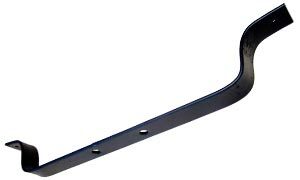 They flex similar to leaf springs and provide support and movement as needed by the particular applications. Common runs range from 2 to 100 pieces. 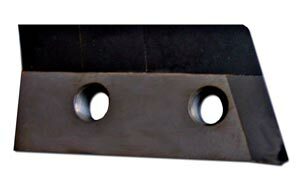 Typical material used is 5160 premium steel in sizes from .262” x 2” and up to .401” x 4” wide.